The Humble Indie Bundle strikes again! This time with the Humble Voxatron Debut. Voxatron is a voxel-based (who knew!) shooter which is currently in alpha and looks fairly nifty. At this point, Voxatron is the only game in this bundle but history dictates this is likely to change. As usual, I recommend paying above the average price ($3.55 USD at time of posting this) in case they add extras to this pack. Previously, some pack extras only became available after spending above the average. 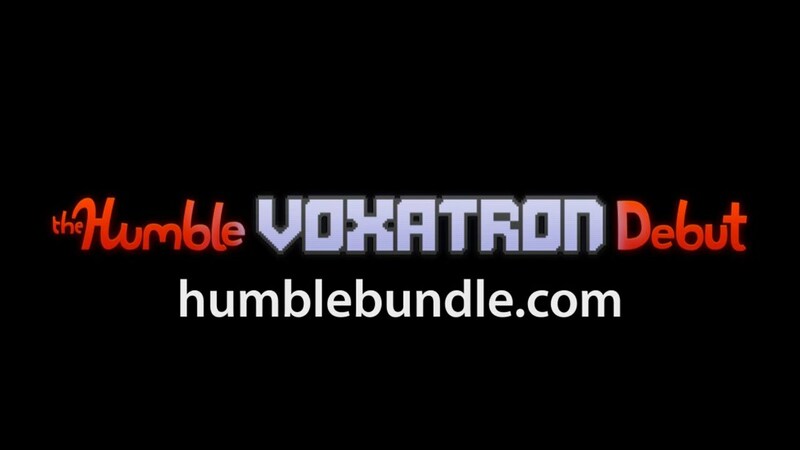 All of the games in the Humble Bundles come with Steam keys so you can add them to your Steam libraries - Voxatron may not provide a Steam key initially, but once released the HIB team will contact you with details for the key. [update 02/11/11] The bundle has been updated to include two new games: Blocks That Matter and The Binding Of Isaac. I don't know a whole lot about Blocks That Matter - other than that it's a puzzle game that uses a rudimentary crafting mechanic to progress through levels. The Binding of Isaac, on the other hand, is a much loved mash of dungeon crawling RPG with some Asteroid style shooter elements. Both of the new games are already released and so have Steam keys attached. [update 11/11/11] 4 new games have been added to the Humble Voxatron Bundle: Gish, Jasper's Journeys, Chocolate Castle, and Zen Puzzle Garden. Gish and Jasper's Journeys are platformers while Chocolate Castle and Zen Puzzle Garden are puzzle games. Annnd there it is. Just received an email from HIB saying that 2 more games were added to this bundle: Blocks That Matter and the critically acclaimed The Binding Of Isaac. 4 new games have been added to the Humble Voxatron Bundle: Gish, Jasper's Journeys, Chocolate Castle, and Zen Puzzle Garden. Gish and Jasper's Journeys are platformers while Chocolate Castle and Zen Puzzle Garden are puzzle games.